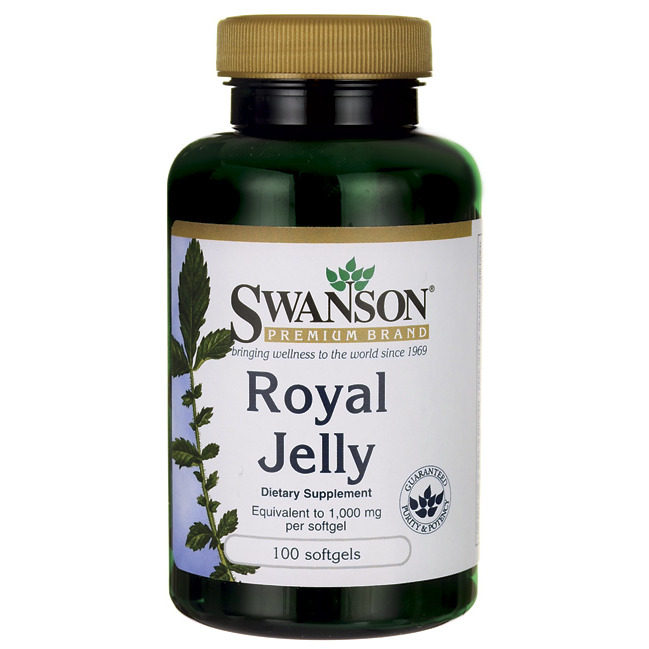 Your body deserves a “royal touch”. Treat yourself to this natural delight and boost your vim and vigour! One of the finest dishes on nature's gourmet buffet. 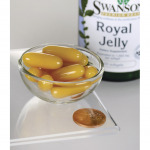 Swanson Royal Jelly is the specially selected mixture of pollen, honey and enzymes designed to provide bee larvae with the vital nourishment they need to become queen bees. Human intake of royal jelly can lead to nothing but health benefits. Its positive effect is in the provision of further vitality and energy, the improvement of resistance mechanisms, and the fortification of the immune system. Our 1,000 mg softgels offer optimal royal jelly content to support your health.